After months of speculation, hard-rock legends Guns N' Roses have confirmed they will headline California's Coachella festival, with Axl Rose, Slash and Duff McKagan all hitting the stage together for the first time in decades. 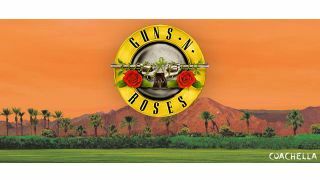 The news was announced via Guns N' Roses Facebook page, simply sharing an image of the Coachella line-up, which was also shared by lead guitarist Slash and bassist Duff McKagan. Guns N' Roses' full 2016 band line-up is yet to be announced, but according to Ultimate Guitar, it will also feature Dave Kushner of Velvet Revolver on guitar, Richard Fortus on guitar, Frank Ferrer on drums, Dizzy Reed on keyboards, and multi-instrumentalist Chris Pitman. Also headlining the festival will be LCD Soundsystem and Calvin Harris - something for everyone, then.